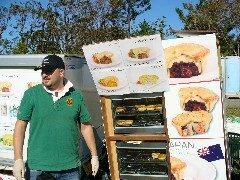 so hard to make this event a success. greatest challenges a community can face. May we all be strong in the spirit of this event on this beautiful day. Today, the 9th November, is also the 25th　anniversary of the fall of the Berlin Wall. an impact on so many people worldwide. 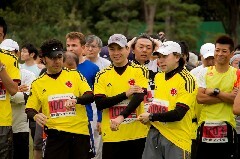 for the Great East Japan Earthquake recovery effort. 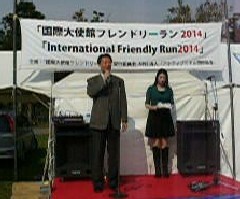 I express my heartfelt congratulations for today's "International Friendly Run 2014." 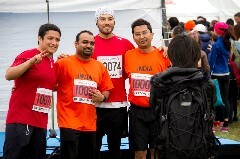 will be cherished in the hearts of all participants for many years to come. 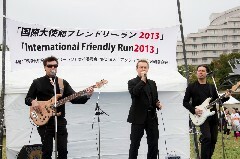 We are gathered to promote international friendship in this 4th Friendly Run. Today, November9, is also the 25th　anniversary of the fall of the Berlin Wall. world. 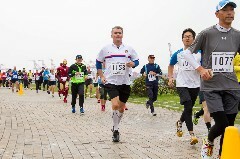 We are honored with the active participation of the German Embassy. our society and that of the world becoming increasingly unstable. The world faces a planetary crisis emanating from the lack of ethics. We are gathered in a spirit of solidarity that incites us to take care of each other. of life that secures healthy longevity for both humanity and nature. 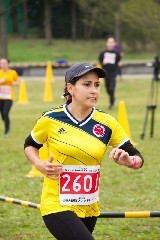 I wish you all a happy running. 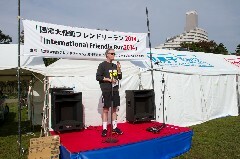 ・Sponsored by:Ministry of Foreign Affairs of Japan. 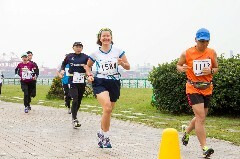 This race is a running event to promote international goodwill. 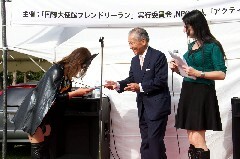 Japan Earthquake disaster area for supporting its restoration and education. 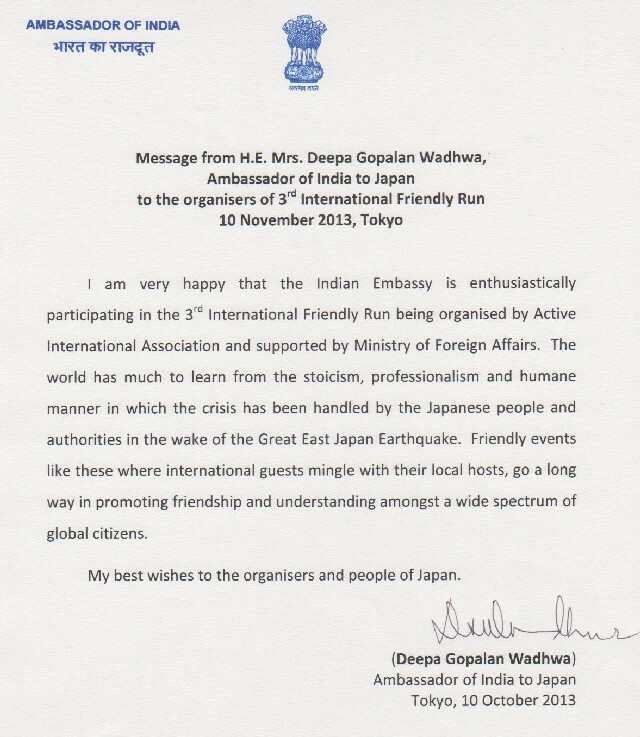 ・“Deepening Mutual Understanding with Foreign Diplomats"
and people from each embassy.Also it will be a good PR of each embassy. 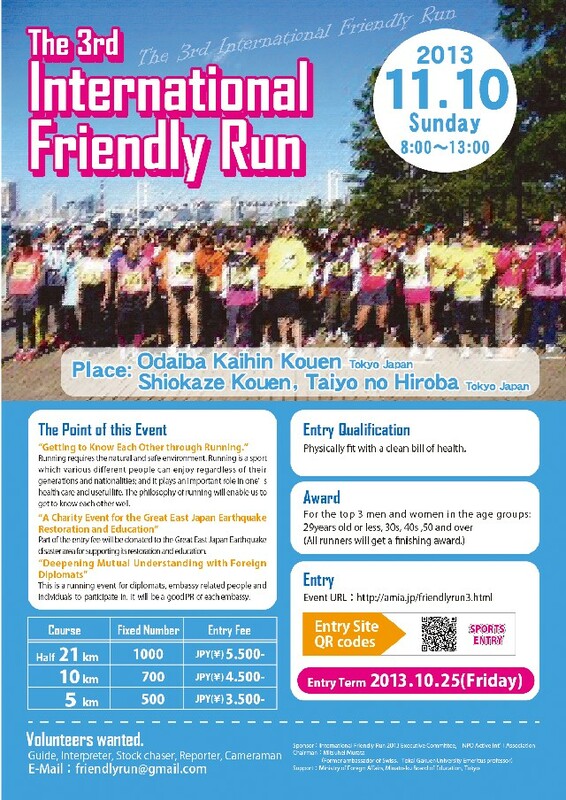 ・Entry Qualifications：Anyone who is physically fit, healthy and loves to run. 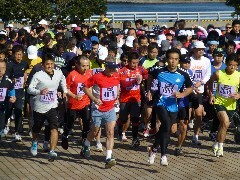 ・Bib Pickup Time:8:00am to 30 minutes before each race starts. 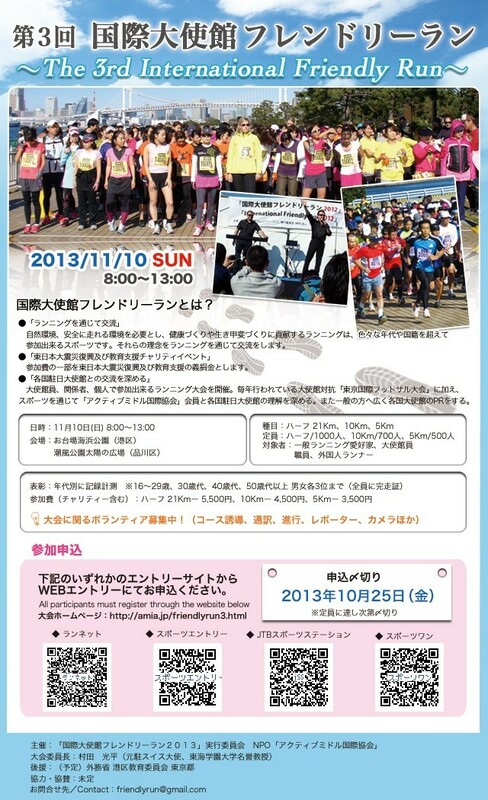 ※Registration will close when the race is full. 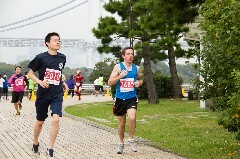 Irish Embassy comes 10th in today's International Friendly Run in Odaiba. 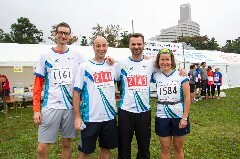 Many thanks to organisers of great event! Thank you so much for making our day such a memorable one. 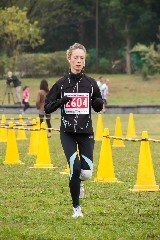 A few photographs are attached. 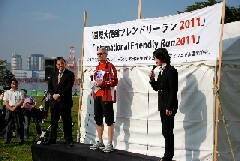 It is a great pleasure to have the 3rd International Friendly Run held in Tokyo. 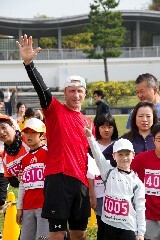 Running is a sport for all ages and for people all over the world. and my best wishes for its success. 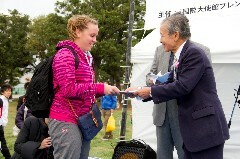 honour bestowed on Tokyo to host the 2020 Olympics. 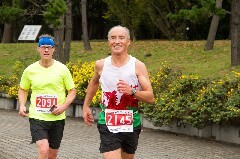 Everest in Nepal, on May 23, 2013 as the most senior citizen of the world. 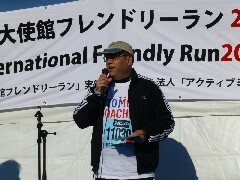 I wish the function all success. 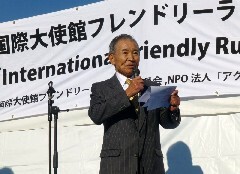 organized by Active International Association. 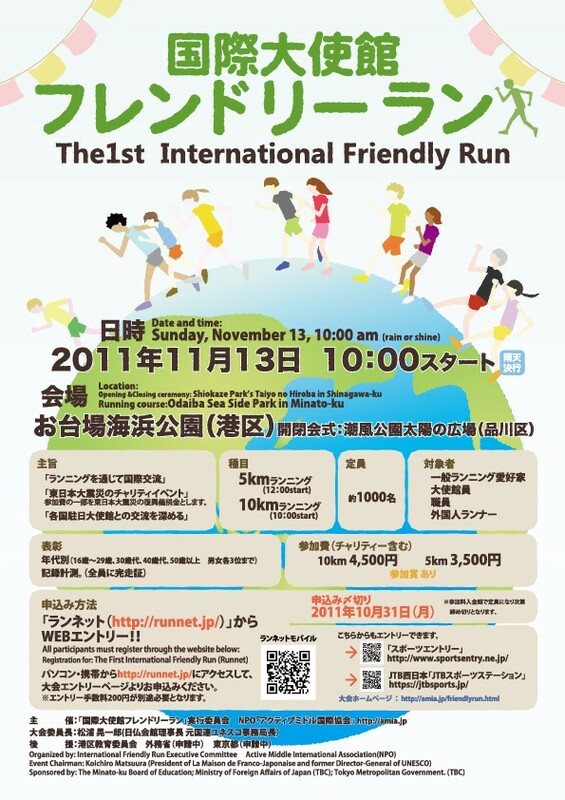 “International Exchange through running” is most appropriate. 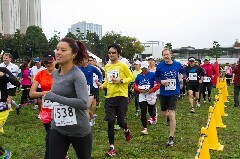 I express our heartfelt thanks to the organizers & the volunteers for the event. and an optimal space for creating an atmosphere of understanding among nations. 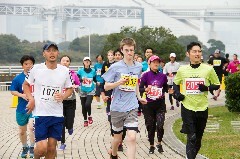 we can conquer many common goals together. and would like to wish all success to everyone who is joining this special event. 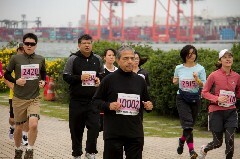 It is indeed gratifying to see so many participants in the 3rd International Run. 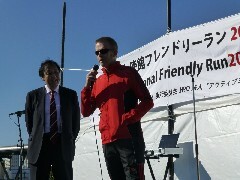 to promote international friendship with this sport. 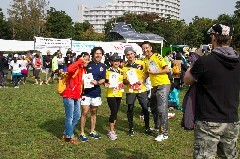 It is health and happiness that characterize our gathering. We are thus enjoying the gift of life, sole and supreme value. The world、however, faces a planetary crisis whose cause is the lack of ethics. toward a new way of life that secures the maximum happiness of the greatest number. 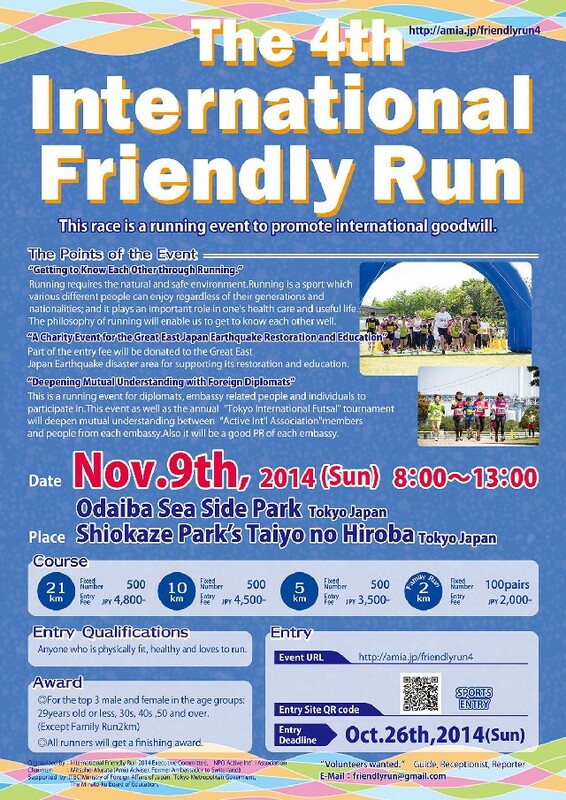 This race is a running event aimed for international good will. 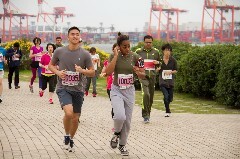 Diplomats from various countries will run with　you! 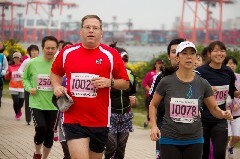 Entry Qualifications Physically fit with a clean bill of health. 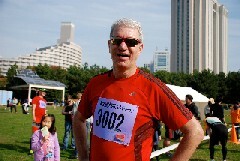 Bib Pickup Time:8:00am to 30 minutes before each race starts. 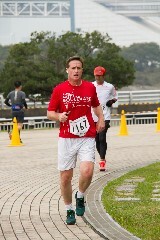 feels sick during the race. 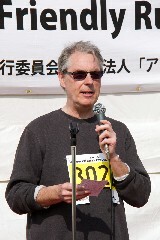 participants must comply with the decision made by the organizer. 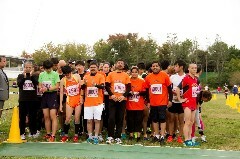 before his/her race. 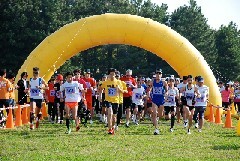 Please do not be late to start the race smoothly. vehicles, and so on go fast due to unavoidable situations. 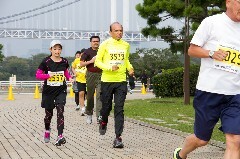 11）Switching distances in the morning of the day is not allowed. 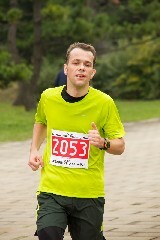 within a week before the day of marathon. the devastation and loss you have so bravely borne since March 11 last year." indispensable for attaining peace and friendship. morning for the 2nd International Friendly Run. who worked so hard to make this event a success. 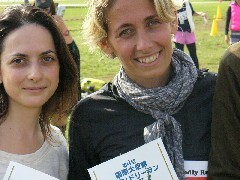 victims of the Great East Japan Earthquake. 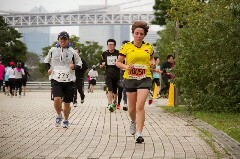 these 5K with all of you. 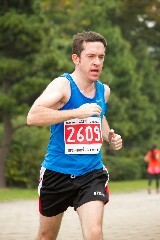 Some of you look like you are pretty serious runners ? I will do my best to keep up with you. So again, welcome everyone, and let’s have some fun! 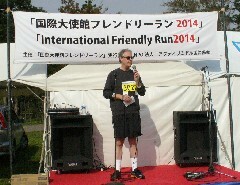 by His Excellency Mark Sinclair, the ambassador of New Zealand. My name is Mark Sinclair, the New Zealand Ambassador. 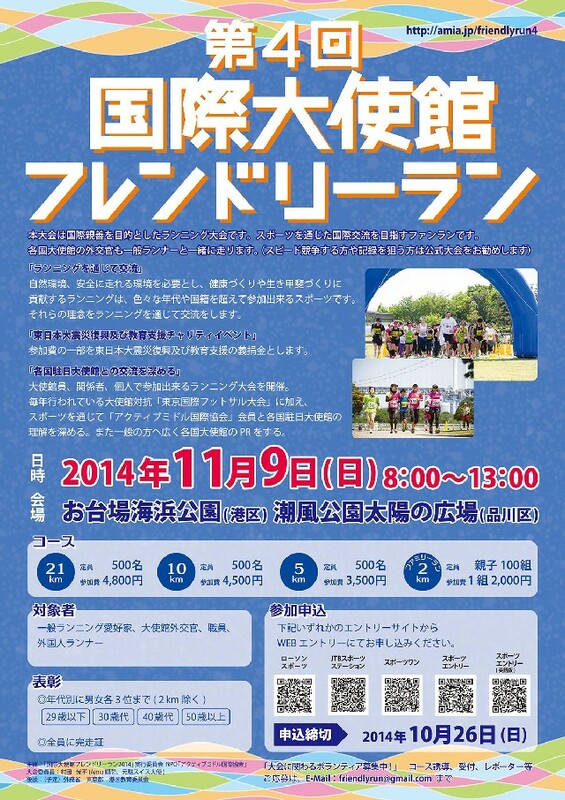 the opportunity to participate in this event. 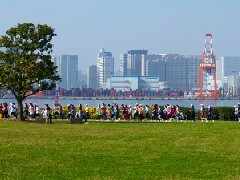 the affected area by the Great Eastern Japan Earthquake. also was hit by a big earthquake. 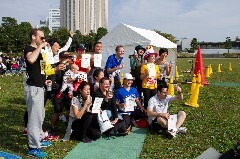 the charity event today would help children and young people in Tohoku. and would like to offer my congratulations to the winners. 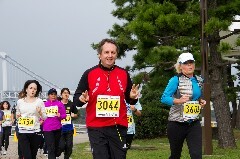 in Japan while at an International Fun Run on the weekend. The Minato-ku Board of Education. 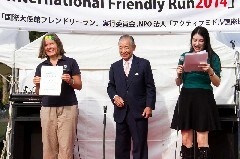 all ages and nationalities and that requires a natural and safe environment. 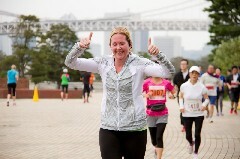 Great East Japan Earthquake relief effort. country to the general public. ●Awards: First, second, and third winners in each gender and age category. 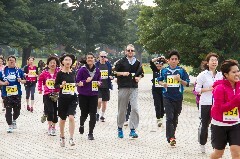 Finish times will be recorded and all finishers will receive a certificate. Participants are required to register through the website below. 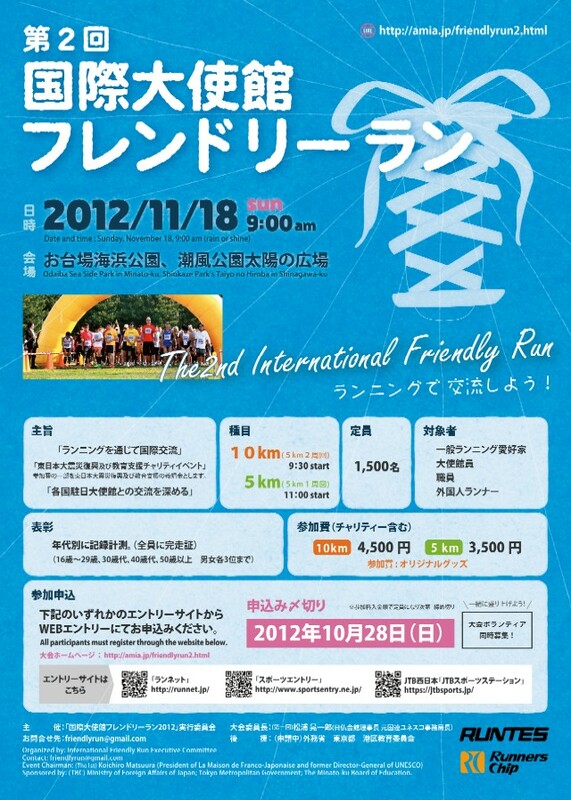 Registration fee: 4,500 yen for 10 km. 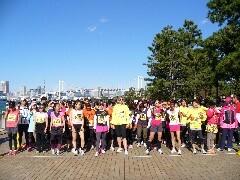 3,500 yen for 5 km (includes donation). Ohayo Gozaimasu. Latvia Tiashi no Peteris Vaivars desu. Koushita Taikai wo Tsuujite, Kokusai Koryu ga Dekiru Koto wa Taihen Subarashii Kotodesu. 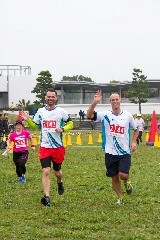 Minasan no Kenko to Higashi Nihon Daishinsai karano Fukko wo Negatte, Gambarimashou! 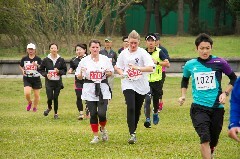 the first charity running event was held by the Active Middle International Association. 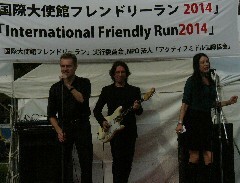 regardless of their gender, age and nationality joined the event. 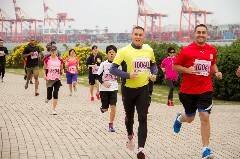 all enjoyed running. 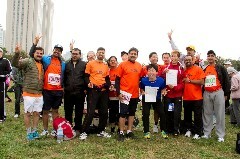 It was such a pleasure to share the joy with all the participants. 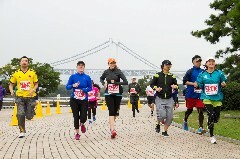 "Since I am from a Northern country, it was too hot to run in this weather. 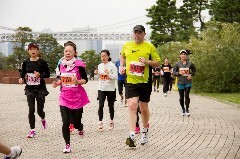 But the course was great and I would like to join this event again." 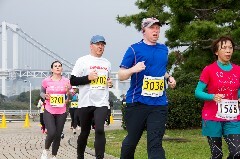 "It was very enjoyable, and was very excited that all the people ran together." 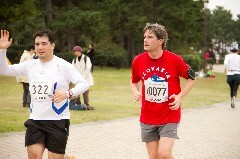 and he will be running with a prayer for Japan's recovery from the disastrous earthquake. Furthermore, we asked participants from overseas to share some comments and feelings with us. 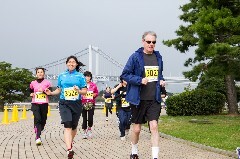 A British man, his hobbies are marathon and badminton, said that he enjoyed running. 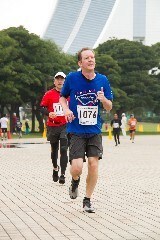 running very much. 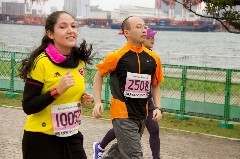 It was the first time she exercised outside after the wrist injury. 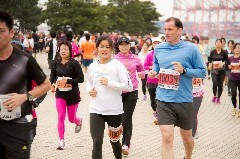 but fortunately no one had serious health problems. 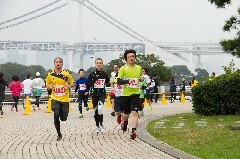 It was pleasant that the event finished with no troubles. 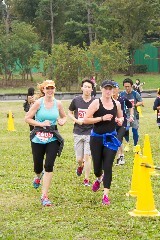 gathered, shared charitable spirits and enjoyed running all together. 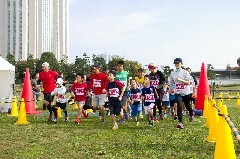 We hope that all the participants enjoyedthe charity event. 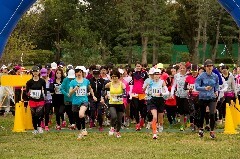 who have been affected by earthquake in Tohoku. 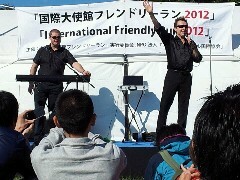 Thank you very much for your participation,and please keep your eyes on our following events. We all look forward to seeing you again. 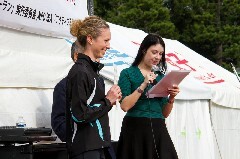 Copyright© 2011 Active Middle International Association, All Rights Reserved.